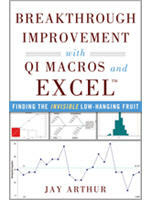 QI Macros Lean Six Sigma Software draws control charts, histograms, Pareto charts, fishbone diagrams, value stream maps and much more. QI Macros works in Excel 2010-2019/Office 365 (PC) | 2016, 2019/Office 365 (Mac). 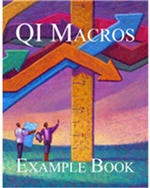 This CD-ROM contains self-paced, step-by-step instructions for loading and using the QI Macros. Watch and listen as we guide you through each step of creating the charts and templates in the QI Macros. You'll see exactly what data to enter and what commands to use to load and run the QI Macros. 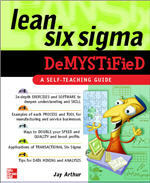 More about "QI Macros Training CD"
For Healthcare and Manufacturing. This 1 hour video provides a simple structured way to choose the right chart, graph the data, and then interpret the results. Comes with 1 SPC Simplified book. More about "QI Macros PC"
How to conduct a Gage R&R Study DVD with one Participant Guide. QI Macros for Excel draws Pareto charts, control charts, histograms, box and whisker plots, scatter plots and more; and is compatible with PC (Excel 2010-2019 and Office 365) and MAC (Excel 2016, 2019 and Office 365). 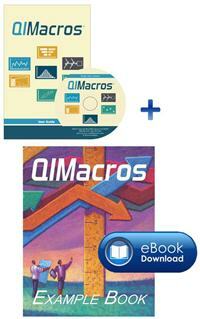 More about "QI Macros SPC Software for PC and Mac"